WASHINGTON, October 19. /TASS/. 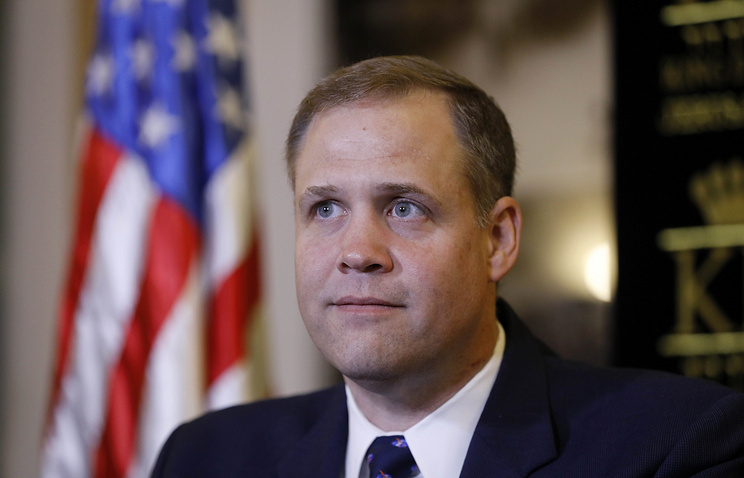 The United States would like to cooperate with Russia in implementing the project of creating the Lunar Orbital Platform-Gateway, NASA Administrator Jim Bridenstine told TASS on Friday. More than a week ago, the NASA chief visited Moscow and the Baikonur Cosmodrome in Kazakhstan, and also met with Roscosmos Space Agency Chief Dmitry Rogozin for the first time. "We have had some discussions about very specific contributions [about Russia’s participation in the project], but I don’t want to announce those. As Russia feels comfortable and as general director Rogozin feels comfortable, rather him will announce what they are interested in, rather than me talk about it," the NASA chief said. "Yeah, we have had conversations with them [with the Russian side] not just about the Gateway, although it’s a very important piece of the future," Bridenstine said. "We would love to see Russia and the United States collaborate side by side on the Gateway. And it’s also true, that when we are talking about the entire architecture that we want to develop between the Earth and the Moon there are a lot of opportunities that go even beyond the Gateway. And I think that Russia has an interest in that, and we would love to partner with them on different parts of this architecture," the NASA chief said. The United States and Russia "have had a great relationship" in implementing the project of creating and operating the International Space Station and "we have both benefited greatly from utilization of the Soyuz crew capsules, Soyuz rockets as though we want to expand on that and go to the Moon in a sustainable way. And certainly we would love to work hand in hand with Russia on the Gateway and other parts of that architecture," the NASA chief said. The plans to create a lunar orbital station were unveiled in the spring of 2016. TASS reported at that time, citing the documents of Russia’s Energia Rocket and Space Corporation, that preliminary work was underway with the US Boeing Company on the issues of creating the near-Moon infrastructure in support of the national space agencies’ future plans. It was earlier suggested that the lunar orbital outpost would be called Deep Space Gateway. Now the NASA documents mention it as Lunar Orbital Platform-Gateway. When asked about whether the current tense political situation between Russia and the United States affected space cooperation, the NASA chief said: "whatever areas of disagreement the two countries have, we don’t want that to spill over in the space." "We want to continue collaborating on exploration and discovery and science as we always have. We certainly do not want terrestrial disputes to get in the way of what we can do together in space. So when our countries have interests that diverge terrestrially, we've always been able to collaborate on space and it's my intent to keep that going and keep it strong," the NASA chief said.